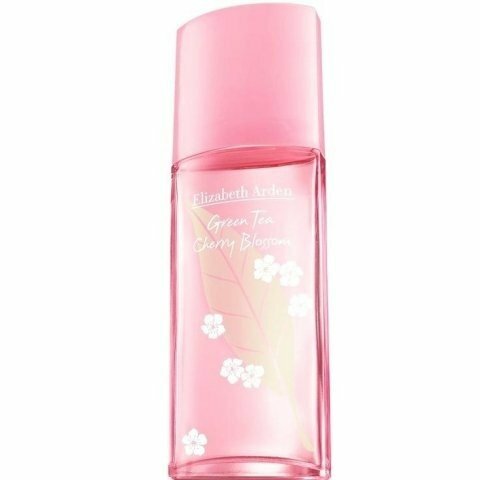 Green Tea Cherry Blossom is a perfume by Elizabeth Arden for women and was released in 2012. The scent is floral-fresh. It is being marketed by Revlon. This is one addictive cup of tea! Citric fresh bergamot, lush cherry blossom, a hint of mint & peony, a lily vibe, a drop or two of apricot and a slightly powdery base in the dry-down: that is how "Green Tea Cherry Blossom" evolves on my skin. It's very pretty and very floral, one of the best mixes of tea and florals I have smelled in a long time. Spring in a bottle with beautiful floral notes around an array of citric notes that take turns enchanting and refreshing you. It's fresh without being 'lemony' and it's floral without being 'boring'. It's very pretty and I literally can't stop sniffing my wrists when I wear this. It's so relaxing & refreshing at the same time; and....it has the *Boyfriends Stamp of Approval* and he is hard to please : ) It's a wonderful pick-me-up scent and it will be a spring & summer favourite due to its cool and pretty qualities that I know will be able to handle the summer heat. 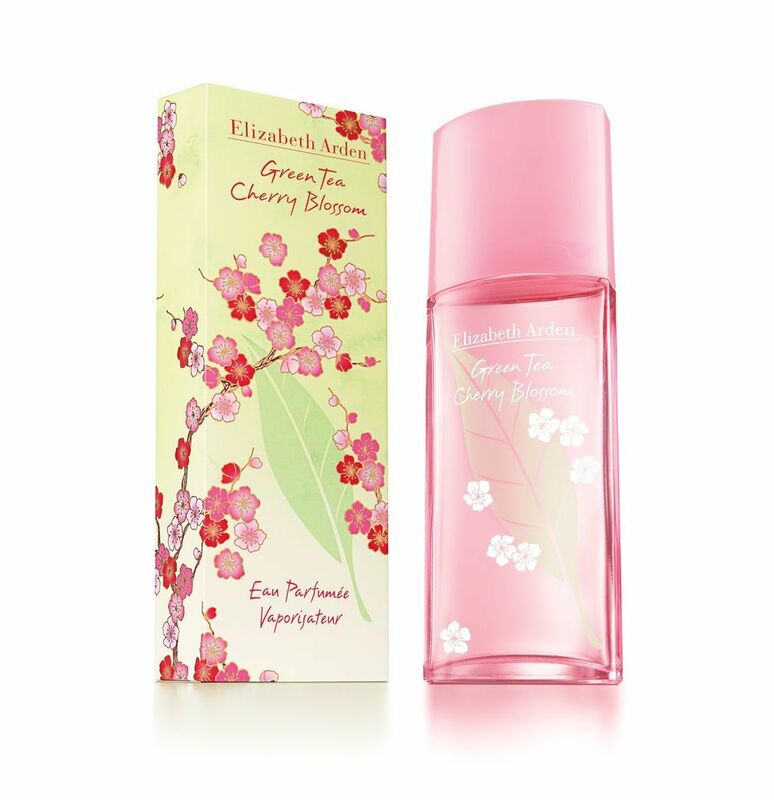 A must sample for tea and/or cherry blossom fans and people who are looking for a fresh yet feminine hot weather scent without having to lean on aquatics -- I promise you will be amazed by the complex beauty that this surprisingly long-lasting scent displays. I have developed a crush that seems to get bigger with each wear. Silage is: "a wonderful green tea and citric cherry blossom tree in full bloom, with mint ornaments and a slightly powdery dry-down" -- Longevity is: An amazing 8+ hours. The box & bottle are also very cute. Tea scents have become really popular in the last few years, and it's no wonder as to why. There is something really likable and pleasing about the scent, especially during Summer. Green Tea Cherry Blossom is a Summer flanker which I'm rather enjoying. The green tea accord is still dominant, however cherry blossom provides a new sweet and pink floral dimension, which drags it away from its unisex tendencies. I find it a slightly more green and dewy version as well. I wonder if there will be a travel set for this flanker, because I'd sure love to shower and moisturise myself with this scent before applying the EDT. During Summer my nose becomes ultra-sensitive, so finding a scent that agrees with me becomes difficult to find. Green Tea Cherry Blossom is one fragrance that I wouldn't find irritating under such hot circumstances. Green Tea Cherry Blossom evokes the feeling of sipping on cups of green tea out of a white, porcelain cup in a baby pink, 50's style dress. Essentially, this smells very girly and refined. I think the reason why I like this scent so much is because of its pretty floral freshness. I think most women would enjoy this fragrance, as I find it quite inoffensive and universally pleasing. The sillage is moderate, while the longevity is surprisingly one of its strengths. Nice to know that you don't have to re-apply many times during the day. I recommend. I buyed one as a gift blindly, all i can say it's a good perfume, light and freshy.